I had the great privilege of visiting with my former Hancock Co. High School world history professor Mr. Eddie Price on Monday. 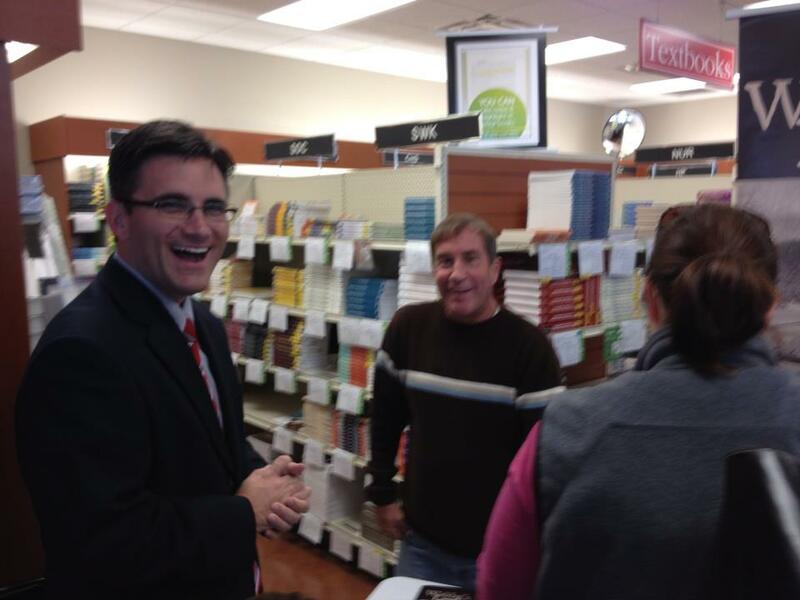 He was selling his new book Widder’s Landing at the Campbellsville University Barnes & Noble and we got a chance to talk and visit. Mr. Price was an inspiration teacher from my high school years. He was always lively and energetic in his teaching and story-telling. I remember well sitting in his class spell-bound as he told of adventures and conquests from the past. I wish him all the best in his retirement and great sales of his book. I am through the first chapter and it is really very good.